How will blockchain transform the structured credit industry? See how Global Debt Registry's blockchain solution is increasing efficiencies in the lending ABS market. 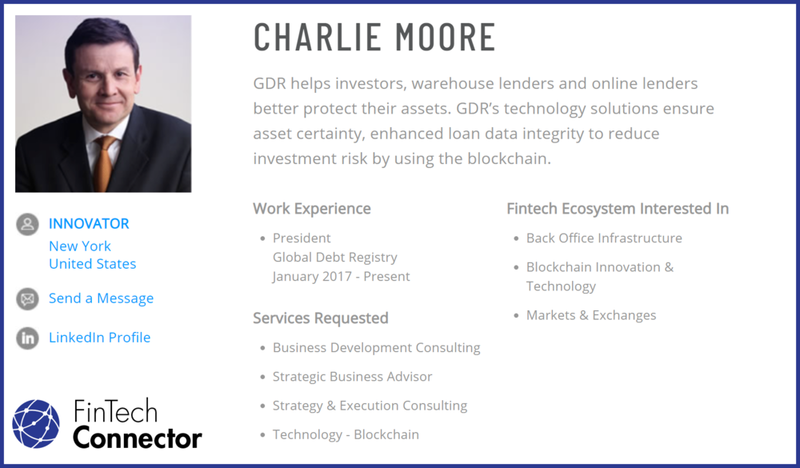 GDR is a Private Equity backed FinTech company that provides loan level management solutions for the structured credit markets utilizing the Hyperledger Fabric blockchain framework. GDR’s SOC1 & SOC2 compliant infrastructure helps to more efficiently manage lending facilities through to securitization and enables lenders to attract more permanent capital. The Company is backed by a $5 Billion private equity firm and is is led by a team of senior executives from Thomson Reuters, Credit Suisse, BlackRock, BNY Mellon and Barclays.